Where does Many Weathers get her inspiration? Sausalito! We have been boating in the Bay area for years and our favorite port of call is Sausalito. 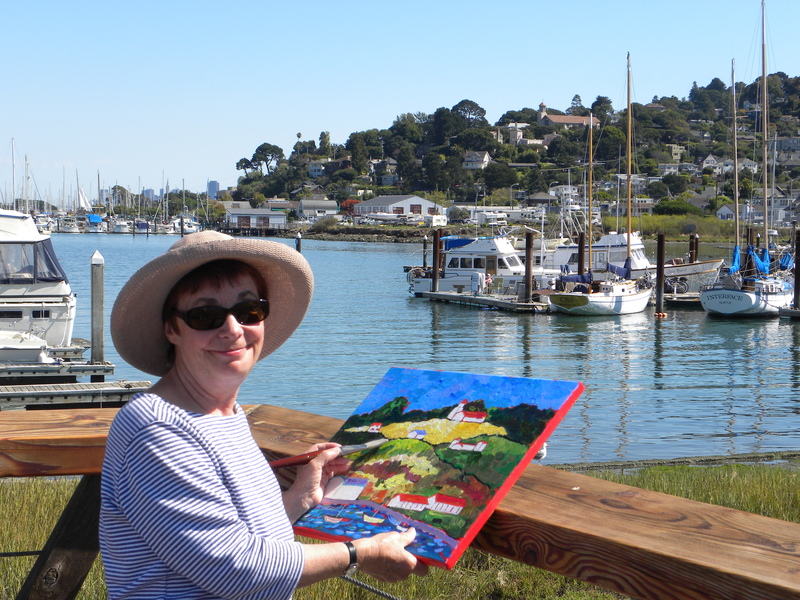 I enjoy painting the beautiful hills of Sausalito and the fun houses nestled into the trees. Painting from the boat gives me a very different viewpoint of the bay and the town. I have also painted the storefronts of several Sausalito flower shops. 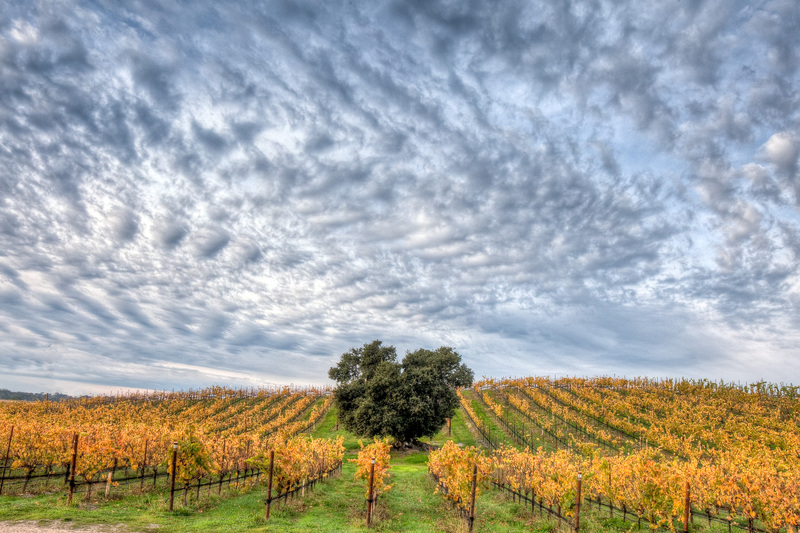 See Mandy on the Open Studios Art Tour, Catalog # 152 in Atascadero (North County). 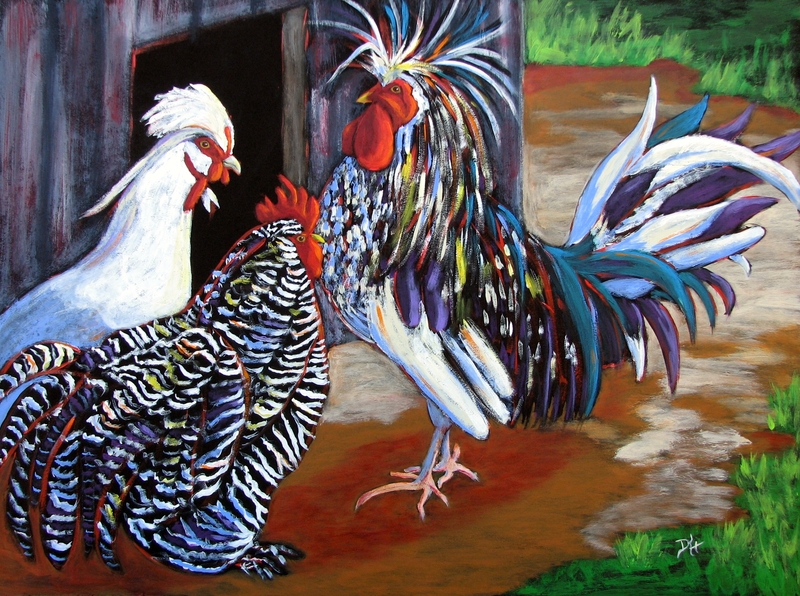 “Tribal Elders” is one of the paintings I will have on display at my Open Studio in Atascadero. I loved how these Wisconsin farm birds had such an authoritative stance, seemingly deep in debate over weighty poultry matters. In “Tribal Elders Before”, you can see how I began with a very dark ground and then slowly built up color and light until the Elders practically glow. I love vibrantly rich colors, hard lines, and high contrast. Presently in my studio, I’m of course getting ready for the Open Studios Tour. I had so much fun doing the new botanical series and now comes the fun of matting, framing, and displaying. My garage suddenly turns into a gallery and it’s a very exciting time. 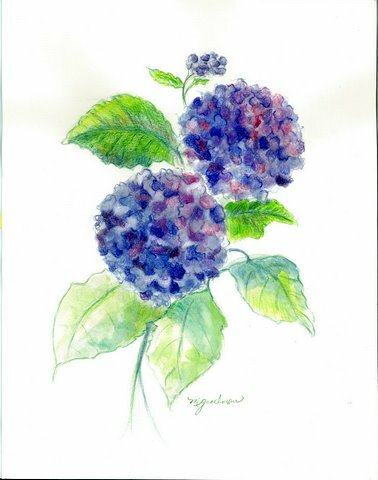 Marlene Goodman is # 121 in the Open Studios Art Tour catalog – you can find her in Shell Beach with her studio open from 10am-5pm on October 15 & 16 and 29 & 30. 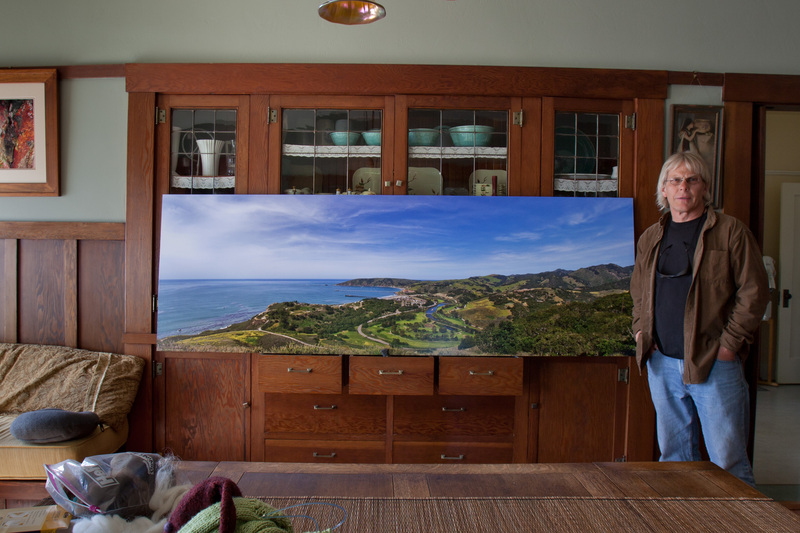 My camera is my favorite tool because it takes me into my studio, which has been the Central California Coast landscape for the past 30+ years. Right now my camera is a Canon 5D MK II which has incredible resolution for great large format photographs. I evolved into Canon by accumulating some of their lenses. Over the years I have shot with a Kodak Brownie with 127 film, and some old plastic drug store 620 cameras that had great resolution for a kid with a dark room, a Maimiya Sekor Twin lens, and Pentax’s for a couple of decades. But right now I am never happier than when I am firing my Canon, because that’s when I am out in my studio. I whole heartedly embrace the new digital dark room because it allows a vast array of tools to bring photography closer to what our eyes and brain perceive in a scene. They say reality bites, but not here where I live. The great landscape photographer Ansel Adams embraced all the tools at his disposal to achieve some of the best photographs of his era. I believe he would have loved and mastered the tools we have now. I have recently acquired a dream digital enlarger; a 44” wide Epson 9600 printer which uses pigment based archival inks that will show no fading for over 75 years. This was designed to be a professional photo printer and it now gives me total control of the process. Many of my photographs span over 200 megapixels combining over 100 exposures and have been as large as 6+ gigabytes. I calibrate my monitor and paper/ink combinations myself. All of this is a time consuming but satisfying endeavor. The best part though is still when I fire my Canon, because that’s when I am out in my studio. Visit my website to view more images. The print transcends the video screen. I invite you to view my studio, which is what I have seen and captured. 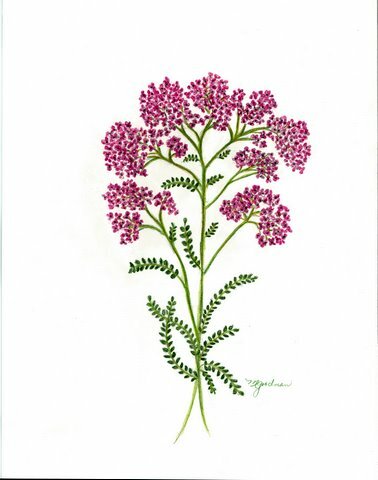 It will be displayed in our historic 1919 California Bungalow in The Arroyo Grande Village during The Open Studios Art Tour (catalog #9) at 529 Allen St. on October 15, 16, 29 & 30 from 10:00 am to 5:00 pm. Where does artist Karen Krahl get her inspiration? 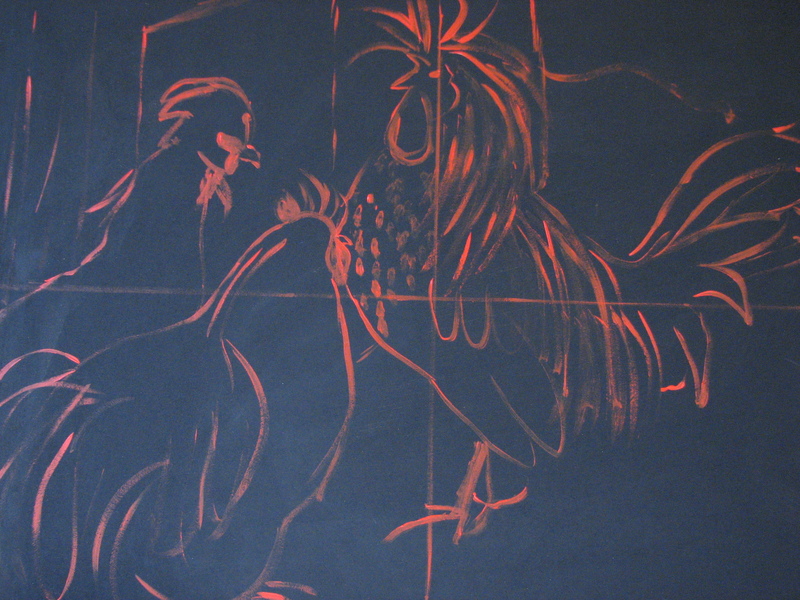 “What inspires me to paint, draw or stay engaged in the process or with other art forms? I think it’s a fairly common answer to say one is inspired by beauty, and that’s the first thing that comes to mind for me. Beauty, color, form, line quality, landscape, animals, the abstract, sound, turns of phrase, expressions. I’m sure I’ll give more thought to this as I spend more time in my new studio, and have a space dedicated expressly to this kind of contemplation and larger blocks of time the the “big brain” mode. I like where being an artist takes me; the onlooker, the observant one, to study what I see, to listen carefully for what is said. Being in the moment inspires me, as well as the work of other artists. I am inspired by how I feel when I am creating something. The first artist who inspired me as an 8 year old was Vincent Van Gough. My father took me to the Baltimore Art Museum to a huge exhibit of his oils. 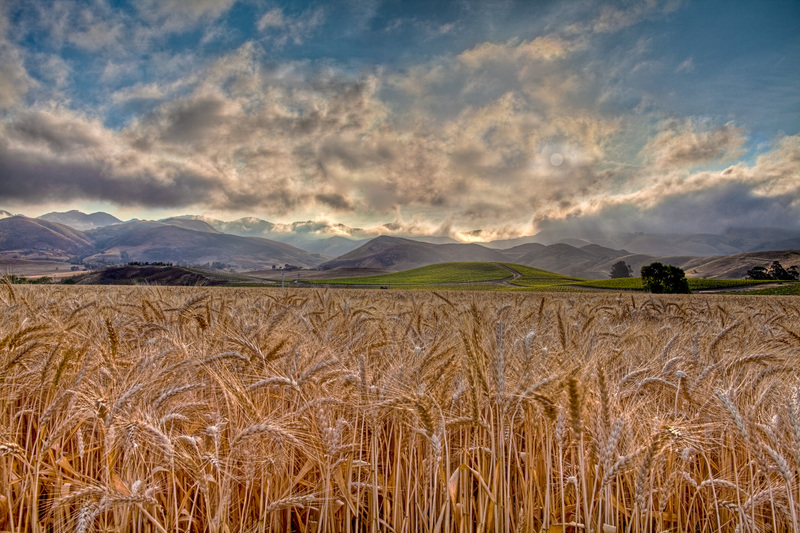 I was captivated by the corn fields and crows, the thick brush strokes, the vivid colors. When we went home, Dad taught me how to use oils, mix colors, clean brushes, thin paint, and how to use canvas, rather than just “paint by numbers” which was very popular then. Some of those first ones were pretty muddy. I’ve been to many of those exhibits over the years, including the one at LACMA, which was one of the larger ones I’ve seen, several years ago. 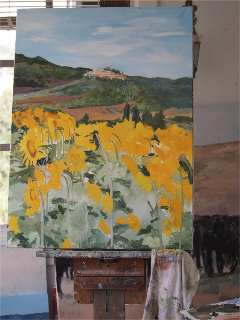 This is a work in progress, of a hill town in Maremma, Italia...the sunflowers, Van Gough-ish don't have their texture on yet. This has a ways to go. 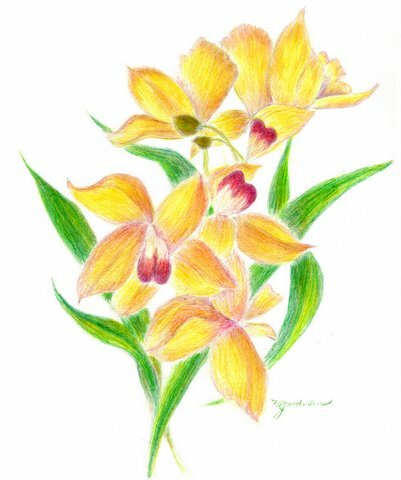 Visit Karen, Catalog #87, during the Open Studios Art Tour this October 15 & 16 from 10am-5pm. Click here to access the catalog and maps to guide you there! Pick Up Your FREE Catalog and Maps! Pick up your catalog! It looks like this. Or DOWNLOAD your copy now! 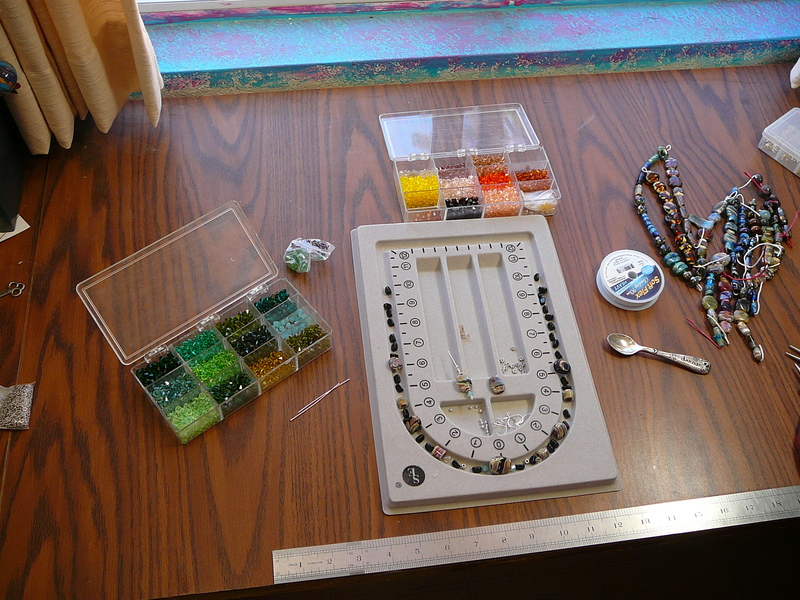 This is the process of start to finish on a necklace and earring set by Susan and Tim Heaton. 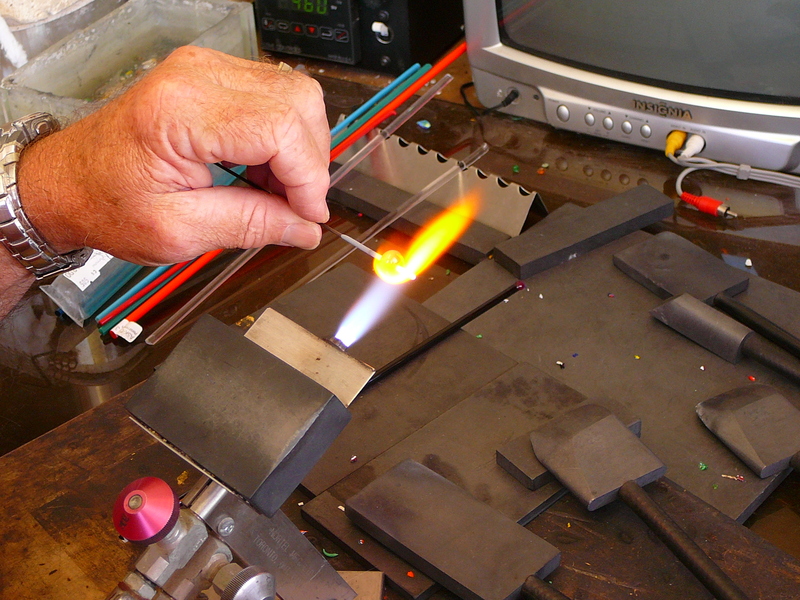 Tim is a glass bead maker who works over an oxygen/propane surface mix torch. 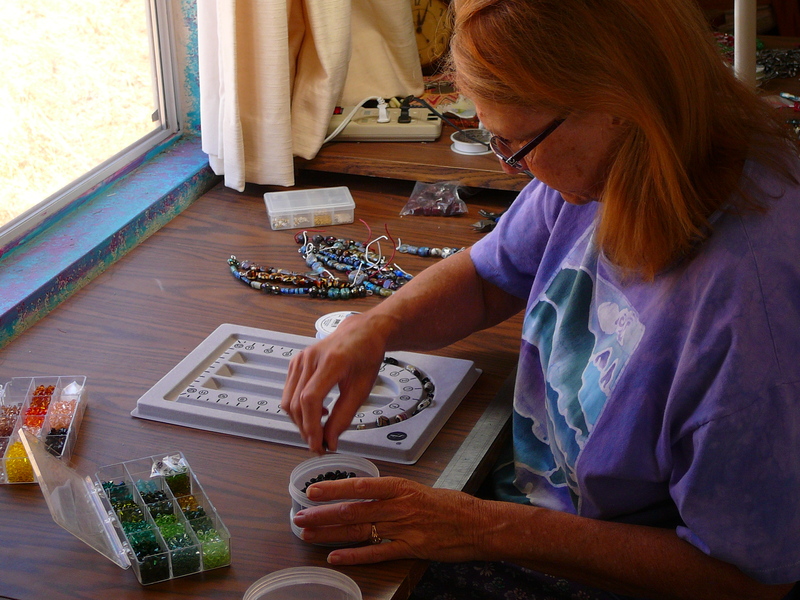 Susan uses Tim’s custom made beads to create, unique one-of-a-kind necklaces. Picture 1 shows Tim’s studio and torch. 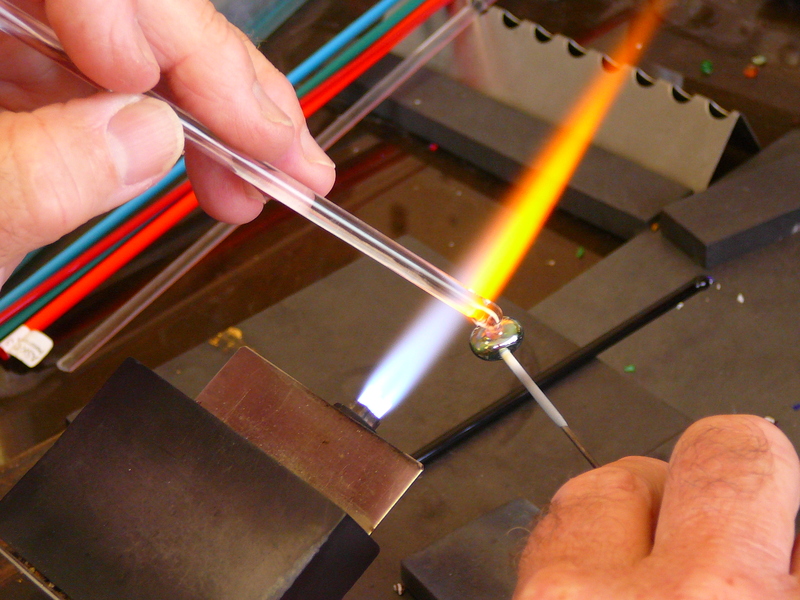 Picture 2 shows Tim doing the first wrap of glass onto the mandrel, in the flame. In picture 3 Tim is shaping the bead in the flame. 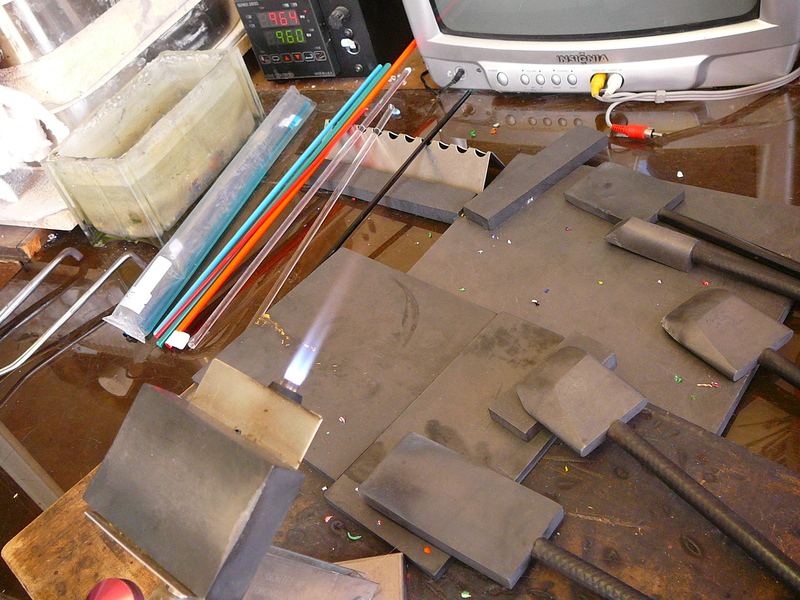 The final outer layer of clear glass is added to the bead in picture 4. 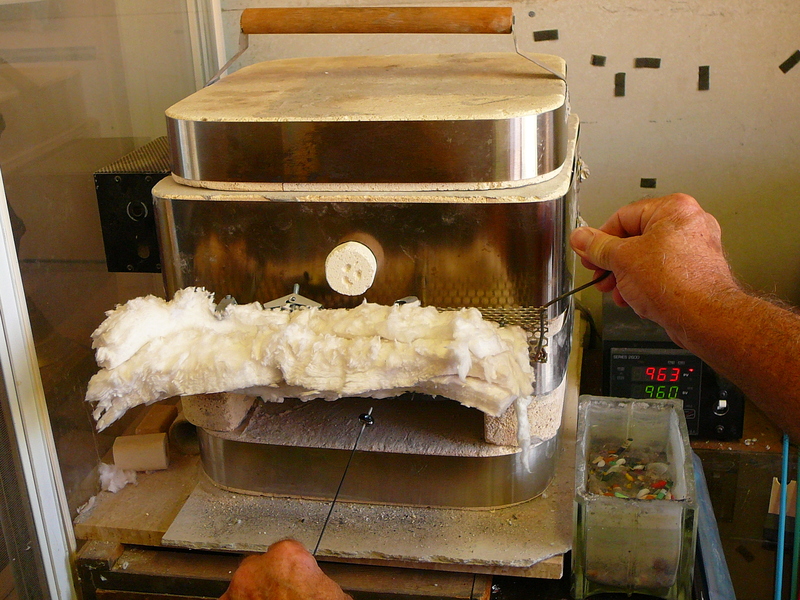 Picture 5 shows the finished bead being placed into the kiln, where it will slowly cool down for several hours (this is called annealing the bead). 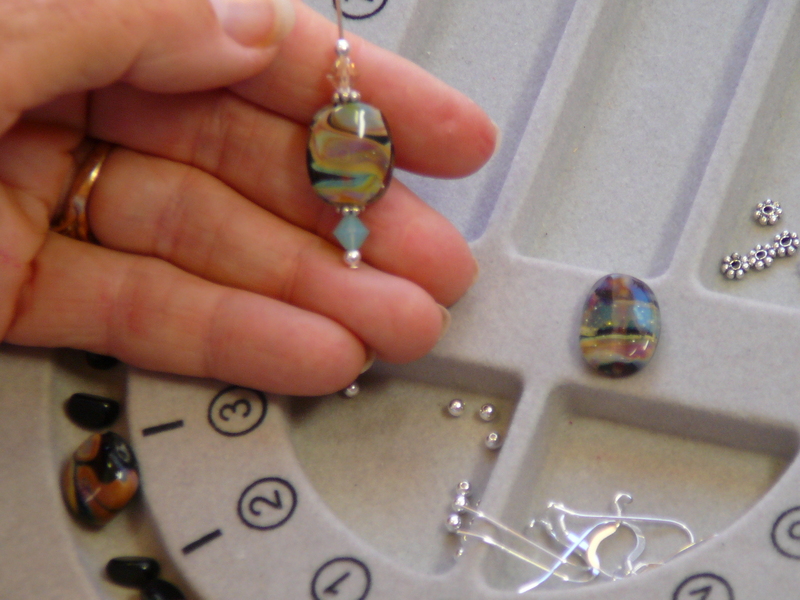 The next day, after removing the bead from the mandrel and cleaning it and doing final finishing steps, the beads arrive in Susan’s jewelry studio. Susan selects which hand made beads, Swarovski crystals, other beads and sterling silver will be considered for use in this necklace, as shown in picture 6. Picture 7 shows Susan’s selection and creation of an earring to match the necklace. 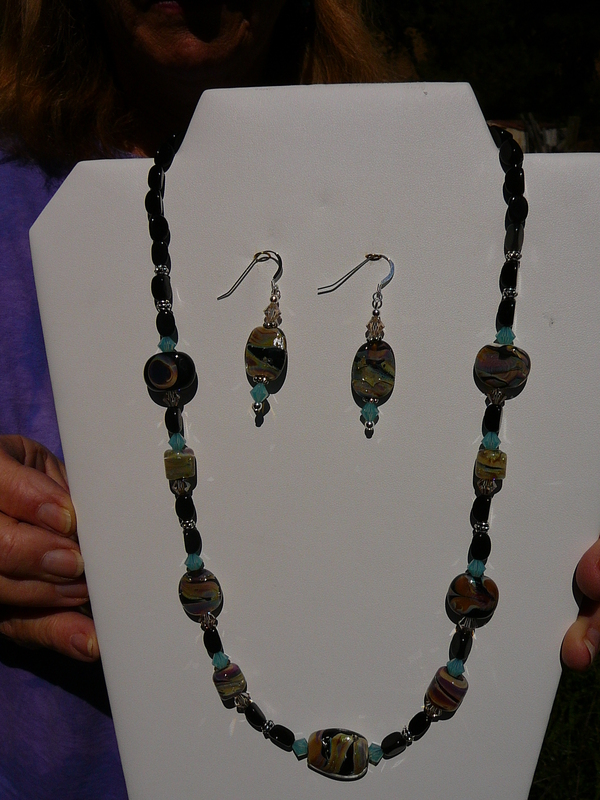 The necklace is designed and laid out on a bead board in picture 8. 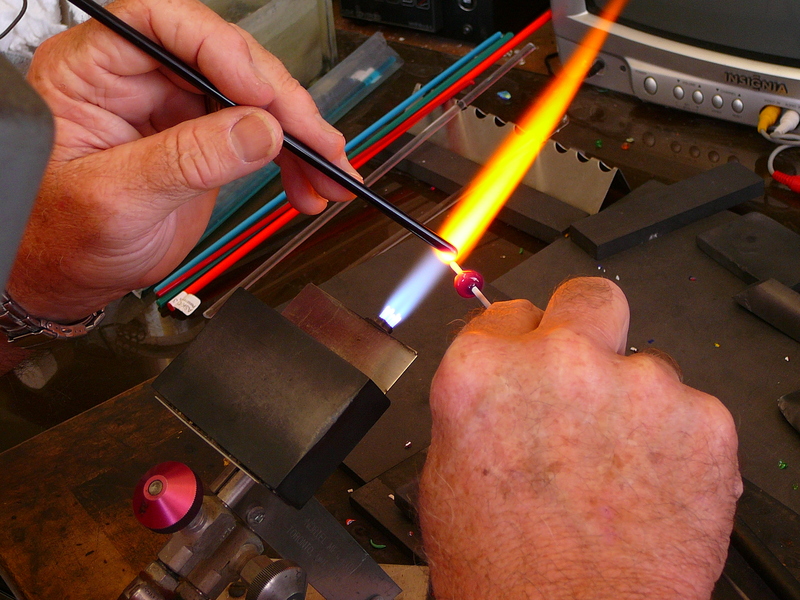 Frequently many designs are produced, before the final design is decided on. Picture 9 shows the completed set, truly a labor of love and art. 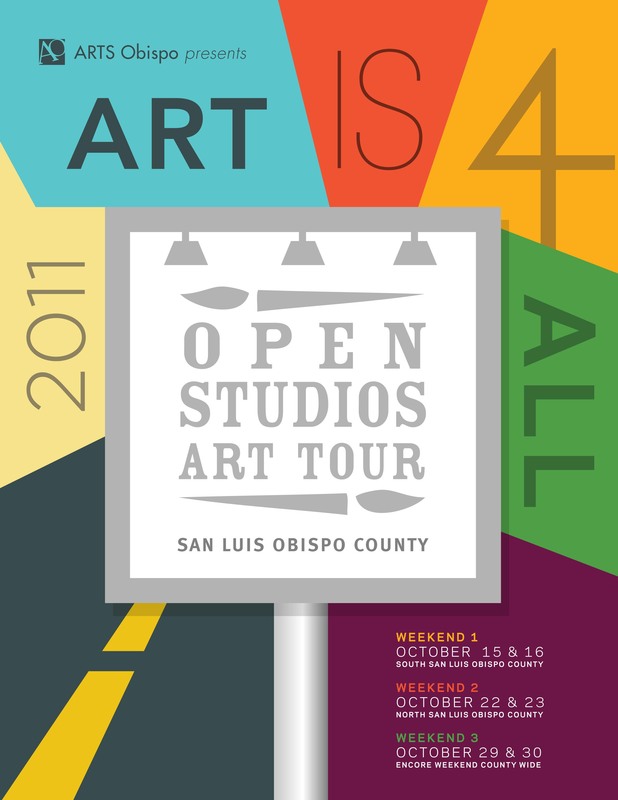 Susan and Tim are #178 in the Open Studios Art Tour Catalog (Los Osos, North County portion of the Catalog). Stop by their studio October 22 & 23 or 29 & 30.